You’ll never generate more leads or attract more visitors to your website if it isn’t credible - but what determines the credibility of your website and what influences it? 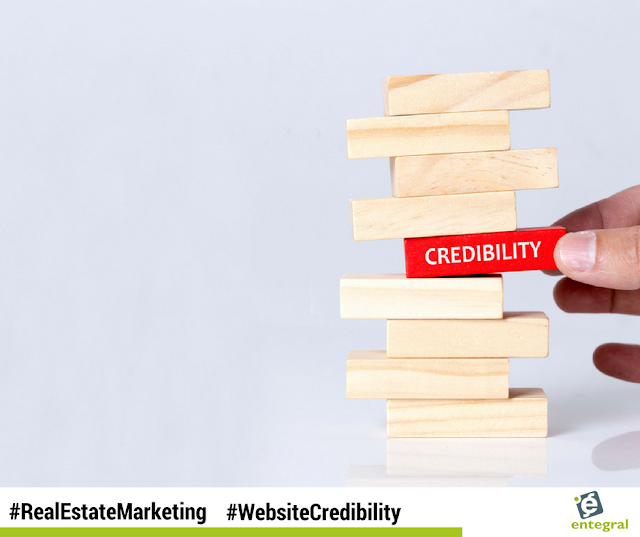 In our latest blog, we take a look at what influences your credibility and what you can do to build and maintain it. They found that 99 percent of web pages have a negative ageing effect*. When website visitors hit your landing page, they’re skeptical. They’re quickly scanning the page looking for a reason to abandon your site. Get your website visitors past the 30-second mark and they’ll spend a lot more time on your site. So how do you get them to stay longer? Credibility! They are looking for signals that show your organization is reliable, trustworthy, and knowledgeable. According to BJ Fogg, a researcher at Stanford’s Persuasive Tech Lab, there are four kinds of credibility. Reputed credibility - A referral from a third party — like family, friends, a co-worker, or someone you know — or unbiased reviewers who have had a positive experience with your website. Surface credibility - A visitor’s subjective opinion of your website (e.g. I like the design, this looks trustworthy, great content, this page is confusing, etc.) which is all that matters when you’re asking them to convert. Earned credibility - your visitors have had a positive experience with your website (e.g. helpful information, little-to-no errors, expert advice, great customer service, etc.) and found your website to be both credible and valuable. For each type of credibility, there are a few factors that influence it. Here are a few examples and how you can use them to your advantage. Helpful FAQ’s - Customers have questions and objections. An FAQ is a helpful way to give customers straight answers to some of their questions. An up-to-date blog — Consistently creating content shows visitors that your website is active and maintained. It also conditions them to check back frequently, always looking for fresh content that can help them. Testimonials - Testimonials that are placed on your website give visitors to access your customer’s mind. These testimonials show visitors what it’s like to be your customer, how you operate, and more. PrivySeals -Trust seals from independent and trustworthy authorities enable you to borrow their credibility as your own. Press — Media exposure is a powerful credibility booster. Awards - Mentioning awards can raise your company’s profile and give you a nice prestige boost. The more impressive the award, the bigger the boost. Guest posts — Writing for other well-known publications means you’re familiar. Visitors have heard of your site before hitting your landing page. Advertising - Advertising can be annoying when it’s handled poorly. When it’s used well, advertising (via platforms like Google AdWords, Facebook Ads, or YouTube Ads) creates presumed credibility in the form of branding and familiarity. If visitors have heard of you before, you’re more credible. Branding - Branding gives you a specific place in a customer’s mind via psychological anchoring, which automatically establishes credibility. Branding is what lasts in the long run. Professional design — Customers form a first impression about your website in 50 milliseconds. There’s no thinking with this first impression. It’s visual, focused on aesthetics, and almost entirely emotional. Typography — Research shows that larger fonts improve reading speeds. Website visitors comprehend more when typography is legible and clear. This seems like a no-brainer, but it can be easy to forget. Grammar - Good grammar matters because it’s part of the first impression customers form about your brand. A typo here or there won’t ruin your credibility, but a consistent pattern of bad grammar hurts your credibility. Website navigation — Your website navigation communicates trustworthiness to visitors. They expect your navigation to be organized and to use appropriate imagery and colors. No technical problems — Broken links, missing pages, slow web pages, development bugs — these technical glitches decrease visitor confidence in your business and their willingness to convert. Contact information — Posting your phone number, address, email, live chat links, social media profiles, and hours of operation show you’re a real business and not a fly-by-night operator. Visitors feel confident knowing they can contact you whenever they run into trouble. More importantly, your visitors know how to contact you. Staff photos and bios — Customers want to see that there are real people running your business. They want to hear your story, verify your background, and see who they’re giving their money to. Sharing staff photos increase conversions. Hiding staff photos send the message that you’re untrustworthy or hiding something. At Entegral it is not just about us, yes we love building cutting-edge real estate websites and products, but we know that your business success is vital to ours. That is why we developed the Flex responsive real estate website solution. It offers you a website that works efficiently on any mobile device or desktop computer it is viewed on. It allows for listings, content pages, contact pages, about us pages and so much more to be viewed on an easy-to-use, fully branded website! You can find out more about all the other features by following our Facebook or Twitter pages, visiting our website or contacting our support staff to order your own website! *There are two kinds of Weibull distributions. Positive ageing: The longer a component is used, the more likely it is to fail. Negative ageing: The longer a component is used, the less likely it is to fail.